I am an avid cyclist. Perhaps too much, some would say. 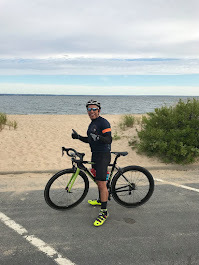 Over the years I have ridden some 20,000 miles, much of it on Long Island’s roads. I am very familiar with the roads in and around my home. I know where there are rough roads. I know where there are potholes and most especially speed bumps.